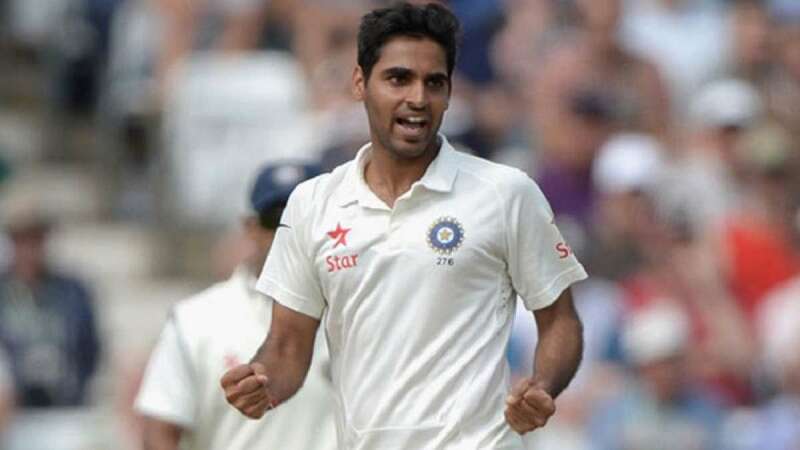 Cape Town : Seamer Bhuvneshwar Kumar on Friday conceded that the road won't be so smooth for the Indians, tottering at 28/3 at stumps on Day 1 of the first cricket Test, despite bowling South Africa out for 286 at Newlands here. The Meerut-born pacer (4/87) starred with the cherry in the morning session, ripping through the South African top order after the Proteas won the toss and elected to bat. Bhuvneshwar picked the wickets of openers Dean Elgar (0) and Aiden Markram (5), and then Hashim Amla (3). Later, he also accounted for the wicket of dangerman Quinton de Kock (43). Despite that, the pacer acknowledged that the road ahead will not be that easy for the Indians, who lost their top three batsmen in the brief 11-over stint towards the end of the day. "It was an amazing day, that's how Test cricket is. It's gonna be tough (the way forward). We knew these are the situations we'll have to tackle with," he said after the day's play. Bhuvneshwar also felt that the visitors could have restricted the Proteas to a lower total if they stuck to the line throughout the innings. "To be honest, we could have bowled better. We gave 25-30 runs extra, just wanted to bowl in good areas. We wanted to get the batsmen out caught behind or in the slips. "We knew it doesn't swing much in South Africa. Never felt the wicket would be slow. We thought there would be lateral movement and that's what happened. Overall we're happy with the way we've bowled," he said. Commenting on the wicket of the dangerous Hashim Amla, Bhuvneshwar said: "In Test cricket, the top of off-stump is an area where every batsman is vulnerable. He's (Amla) the kind of batsman who can make big hundreds if he gets going. It was very pleasing to get him out." Hailing former South Africa skipper AB de Villiers, who top scored with 65 runs, Bhuvneshwar said: "AB is best in the world. You have to be at your best to bowl to him. His counter-attack hurt us."